One of the biggest challenges associated with the identification of genomic variation, is finding those that have a real and measurable impact and help explain, for example, a disease or drug response under investigation. Weeding through more than 5 million variants associated with the human genome is a huge effort that requires significant computational infrastructure and staff time to manually validate and correlate the identified biological findings associated with the data obtained. To expedite this process and free up more time for focusing on relevant data, these data must be narrowed down to a manageable size – ideally less than a few hundred variants. With this new functionality, you can – with a few simple queries – home in on the most relevant variants, whether they are associated with a specific gene, a coding region, a specific chromosome, or annotations that fulfill a specific set of characteristics. The result is quicker insight into affected processes that directly translates into faster hypothesis generation and decision making. To help you rapidly drill down on biologically interesting and relevant results, we have created a flexible query tool for filtering your variation analysis results within the DNAnexus Genome Browser. With just a few clicks, you can apply any number of filters to a results table, yielding a set of variant calls that allow easy navigation through the browser and further investigation. In this release, we have added 13 distinct filters, including chromosome, variant type, gene/transcript name, zygosity, location relative to gene/transcript, among others. These filters are currently available for the DNAnexus Nucleotide-Level Variation (see screenshot below) and Population Allele Frequency analyses results. We are also working towards making them available for any data type, including RNA-seq and ChIP-seq data. All of the filtered results can be exported out of DNAnexus for further analyses in other tools, such as Excel or statistical tools. To help you understand a prioritized list of variants as well as the genes and processes impacted as a result of these variants, we have included the ability to link out to other third party data sources, both public and commercial data sources that contain relevant gene-to-disease knowledge, allowing you to study how identified variations in DNA affect the response to diseases, bacteria, viruses, toxins and chemicals, including drugs and other therapies. DNAnexus specializes in addressing the data storage, management and analysis challenges inherent in next-generation sequencing. We believe that by leveraging the cloud, being data-source/platform agnostic we can provide the best possible support for anyone using these data in their work. We also believe that your input regarding what data is accessible through DNAnexus is critical and because our platform is flexible we can easily integrate with many of the data sources you would like to access or need for your research. 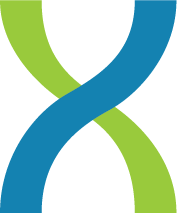 DNAnexus currently supports direct linkouts to 12 public and commercial data sources including: AmiGo, BioBase, Cosmic, dbSNP, Entrez Gene, GeneCards®, IPA®, KEGG, NextBio, OMIM, PharmGKB, Pubmed. For commercial data sources, we can provide integrated access for users who have licenses to access these data. Please let us know if there are specific data that you would like to access via DNAnexus by emailing us at support@dnanexus.com. To access these data sources we have added the new Gene Info pages (see the BRCA1 Gene Info page as an example below), which provide a gene overview and a list of all the data sources accessible. Gene Info pages are meant to give you a preview of the gene, with linkouts to additional information. Gene Info pages are accessible through hyperlinked gene names within the DNAnexus Genome Browser and analysis results tables, as shown here. We now support 22 reference genomes, the latest additions include Staphylococcus genome S. epidermidis ATCC 12228 and the Macaque genome M. mulatta. Much of the new functionality that makes its way into the DNAnexus platform is the result of requests by our many active users. We cannot emphasize enough how much we value user feedback; it is a critical component of our product development and feature prioritization process. To simplify the process of providing feedback, we have added feedback links to both the filterable results tables and the Gene Info pages. You are also welcome to email us at support@dnanexus.com with any feature requests or questions you may have. We look forward to hearing from you and keeping you posted on the many new features we are working on and will be releasing in the coming months.